PMS or Premenstrual Syndrome affects millions of women – an estimated 90% of them! Yes, it’s a fact that most women can say they experience some type of symptoms including headaches, bloating and mood swings.1 Known to have a significant impact on the body, PMS can cause a negative affect on the quality of a woman’s life as well as her productivity in the workplace. Regardless of how bad or persistent PMS symptoms can get there is one thing that women all over the globe are starting to use to ease their PMS pains: cannabis. This sweet little flowering plant offers relief for many lady ailments associated with PMS. 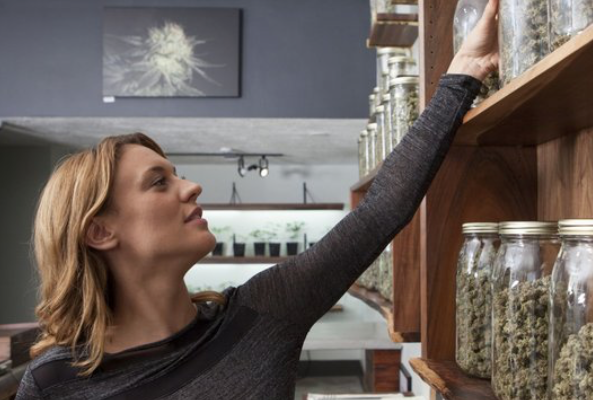 And if you are new to the world of medicinal cannabis, NOW is a great time to learn just how helpful the green goddess can be when Aunt Flow comes to visit. How Does Cannabis Work for PMS? – THC or tetrahydrocannabinol is one of the most well-known cannabinoids provided by the marijuana plant. It has also been associated with a reduction in pain sensation making it ideal for women suffering with aches, pains and cramping of PMS. – CBD or cannabidiol is also known to offer soothing effects for PMS symptoms, offering a deeper body sensation. While both of these powerful cannabinoids are known to help reduce PMS symptoms, when used in combination for example in hybrid strains or with different products, THC and CBD are best combined. How Can I Use Cannabis for PMS? When the wrath of your “time of the month” fully sets in – it can take you OUT … of the game that is. Many women cannot physically tolerate the symptoms of PMS that they suffer with including crippling muscle tension and cramping, smiling at 1:00 pm and weeping at 1:05, along with laying in the fetal position under your desk instead of working through the pile of paperwork on it. If that sounds like you, then cannabis could be just what you need. What Are the Best Cannabis Infused Products for PMS? Flower. Smoking marijuana is a great way to relieve muscle tension and mental stress. Smoking joints, bongs, and out of pipes helps with tension and anxiety while you relax away pressure with your favorite flower strain. 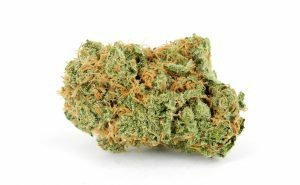 Try your local bud-tenders’ suggestion for a strain. Concentrates. If you are a daily smoker already, when it’s your time of the month it could call for concentrates! These include everything from wax, crumble and shatter – each with a unique texture and cannabinoid percentage. Topicals. There are many different forms of cannabis topicals that include extracts of CBD or THC only, and also combination formulas in a range of product styles. Choose from salves, balms, body butters, pain-relieving rubs and more! Lubricant. When it’s time to turn up the heat in your love life, turn to cannabis! Using a cannabis infused lubricant on your lady parts during PMS can help to reduce aches and pains and when used in the sack, it can also ease tension … down there while getting your partner high. Tampons. These work in a unique way to release the active cannabinoids directly into the affected area (the vaginal canal) to relieve PMS pain and period cramping. Once inserted, cannabis tampons can start to relieve pain in under 30 minutes! What Are the Best Cannabis Strains for PMS? Marijuana flowers are one of the best ways to get PMS relief. And while all strains can be used to reduce the common symptoms of every woman’s favorite time (PMS time) there are some flowers known to be more effective than others for specific symptoms. NOTE: If you have marijuana flower at home you can smoke it, top it with concentrates or use it to make your own topical application by extracting the full-profile cannabinoids into a base of coconut oil (see the instructions below). Obama Kush. Probably one of the most popular hybrids (indica+sativa blend) Obama Kush is an uplifting way to ease PMS pains. Black Cherry Cheesecake. This is a blend between Black Cherry Soda X Cherry Pie crossed with Cheese – and it’s heavy! This indica is the ultimate for pain relief so if you are already in the fetal position with cramps, go ahead and light one up. It’s the cherry on top of your lazy nights. Blue Dream. This indica-dominant hybrid strain is ideal as a natural pain reliever. Used commonly to reduce mood swings, this is the type of marijuana to mellow you out. Get relief from your first wake-n-bake session of Blue Dream and you’ll be left without the painful feeling of cramps, upset stomach and mental fog. Really … Blue Dream eases PMS without standing in your way. Super Silver Haze. This award-winning sativa dominant strain is a blend of Skunk, Northern Lights and Haze. Known for it’s uplifting effect, Super Silver Haze is an ideal option for a daytime PMS cannabis strain. Able to keep up your energy all day long Super Silver Haze is also known to help reduce stress, feelings of sadness and anxiety during PMS. Purple Urkle. This is a last-resort cannabis strain to ease PMS symptoms. A hard-hitting indica, Purple Urkle can be your best friend when you are ready to wind down a long day suffering with headaches, cramping and overall crankiness. It’s pretty easy to extract the full cannabinoid profile from marijuana flower into a substance you can use in the kitchen and on your skin. Here is a DIY way to do it – right at home! Ideally, you want to use 1/8 of ground flower for every cup of coconut oil or other base oil like olive, or jojoba seed. – Place the oil in a saucepan without a lid. Then, set the heat to the lowest setting and slowly add in the ground cannabis flower. Then, continue to heat the mixture for up to 35 minutes stirring continually with a wooden utensil. – Then, strain out the oil into a glass jar separating the plant material from the oil with a kitchen strainer or cheesecloth. Let the mixture cool on the counter or in the refrigerator and then use it any time you need pain relief for PMS symptoms. – Use the extract in your favorite recipes or apply it topically. Cannabis is one of the best ways to ease the aches and pains of your “lady time.” And while nature goes into full bloom (inside your body) you can take solace in the many benefits of consuming cannabis flowers: one of the most comforting natural remedies for PMS. Winer SA, Rapkin AJ. Premenstrual disorders: prevalence, etiology and impact. J Reprod Med. 2006 Apr;51(4 Suppl):339-47.